Thread: Gp1200R 2002 Seized why? 67 hours on engine stock. one piston total crashed holes in the side. skirt on back gone. cylinder deep scratches and a big crack in cylinder wall. other pistons and cylinders is ok. could this be a water intake accident? Last edited by uziwork; 07-08-2007 at 01:25 PM. 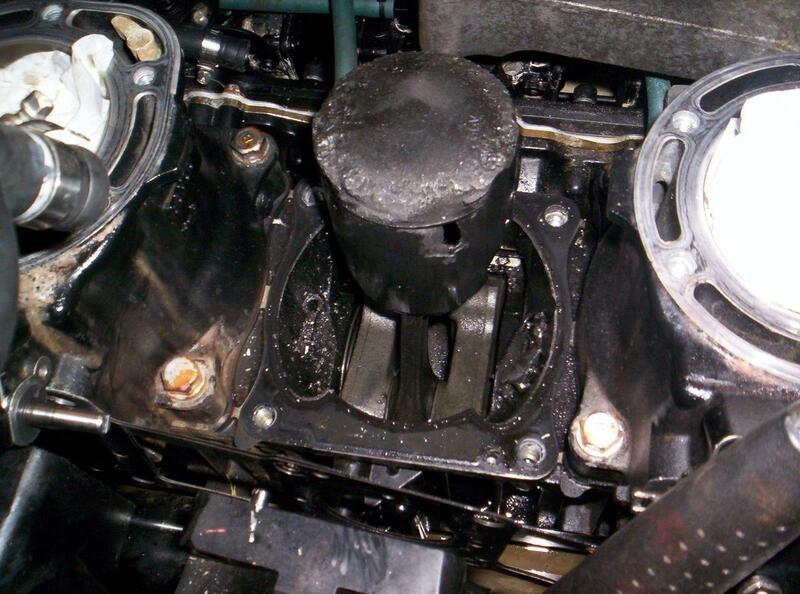 Something pounded the hell out of that piston, did you check the powervalve? Either that or the ring spun and caught on the exhaust port and broke that hunk of piston out, stock 1200 pistons are known for this. When you rebuild, go with pro-x pistons and it looks as though you'll need a crank as well with all that metal I see in the crankcase. gp1200R 2002 Reed Valve life?